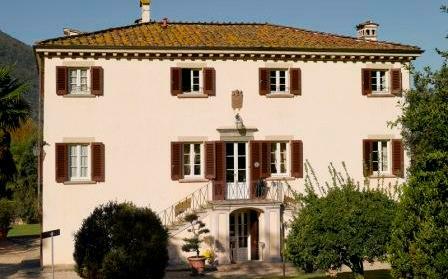 The Hotel Albergo Villa Marta is a 19th century hunting lodge, located at the foot of the renowned Monti Pisani, only 5 km from the historic town of Lucca and 20 km from Pisa centre and PIsa airport. 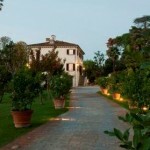 The villa is surrounded by a spacious Renaissance Lucchese garden, with an open space swimming pool where guests can enjoy unique serenity. 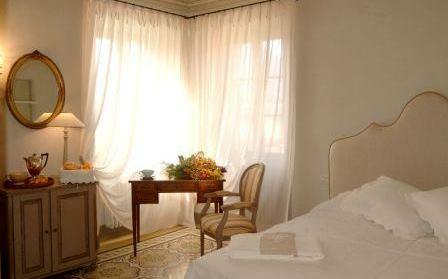 The hotel has 15 rooms double roomns: classic, classic with view and deluxe. The Classic with view and Deluxe double rooms have a magnificent view over the surrounding countryside, disabled access is also provided. 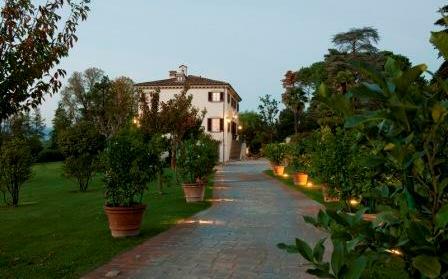 Guests at Albergo Villa Marta are invited to enjoy an extensive buffet breakfast served in the villa’s garden during summer and in winter in the comfortable and elegant breakfast room with its welcoming open fire. 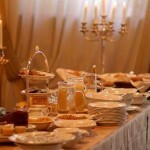 The breakfast is prepared in the traditional way, with care and boundless enthusiasm. Varieties of yoghurt, jams, crisp and fragrant biscuits, cakes and fresh fruit alternate with the more robust flavours of various cold meats, freshly laid eggs and the unmistakable scent of newly baked bread and brioches fresh from the bakery. 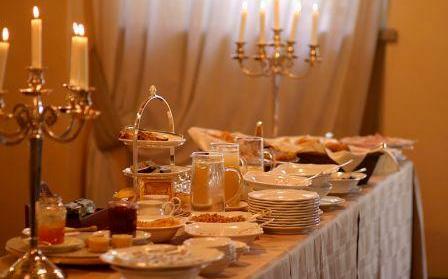 For a romantic and soft awakening, do not miss the breakfast in your room…you have the right to some more pleasures! 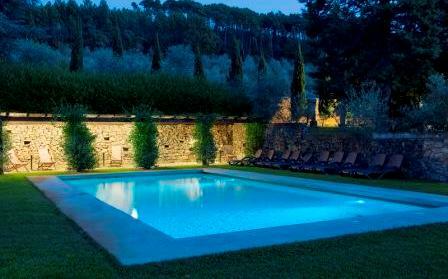 In the warmer months, why not enjoy a thirst-quenching cocktail beside the swimming pool of the villa, or simply just relax and enjoy the peace and quiet. In the early afternoons there is also a lounge bar service with cold dishes for lunch which can be enjoyed by the pool and during the whole day there is a bar service available. 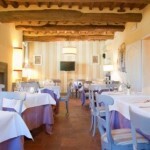 The hotel restaurant is open for dinner all days except Sundays during high season and serves traditional Tuscan food based on fresh local produce. 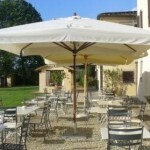 Overall this is an ideal base for a relaxing break still with easy access to different villages and the old town Lucca. 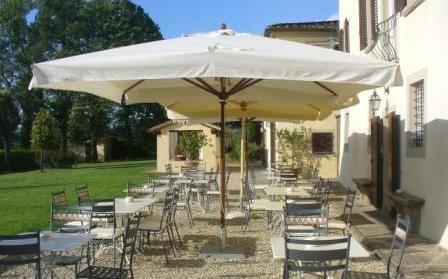 This rural hotel is located around 10 minutes drive from the beautiful old town Lucca. 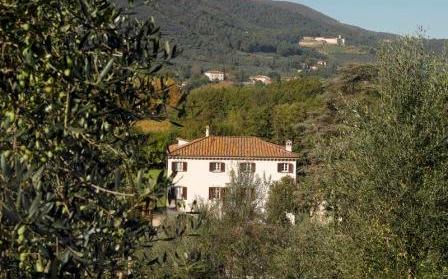 Located on the ground floor of the dependence, double classic rooms have been well decorated in a sober Tuscan style, very comfortable for families and travellers who appreciate a functional, tastefully and comfortable accommodation. Details: king size bed and/or twin. Possible the single use. 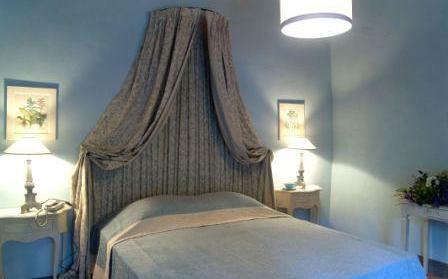 Extra cot/third bed for child/adult on request. Classic double rooms located on the ground floor are particularly suitable for families with children thanks to its accessibility without internal/external steps and its moveable shower. Some are also provided by an independent access and can be accessible for disable people. Location: Ground floor of the dependence. 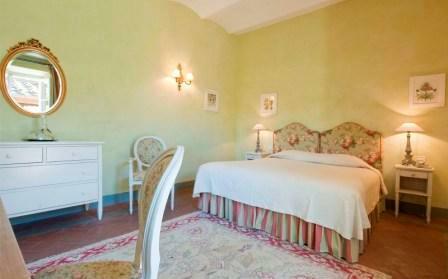 Decoration: Italian style furniture, flowery tapestry, coloured walls, some of them have a four-poster bed. Services: check-out 10.00 am, bathroom with shower , hairdryer, courtesy kit, self controllable air conditioning/heating, safe, telephone, minibar, satellite tv, wifi connection(extra charge), take away breakfast for early departure (extra charge). These rooms are located on the upper floors. 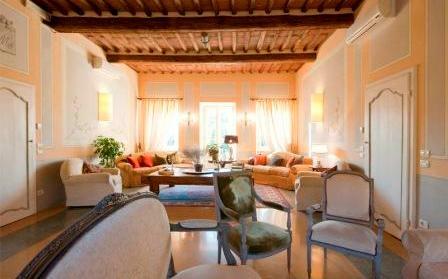 Decorated in Tuscan style, with floor in terracotta tiles and exposed beams, are indicated for people who search for a romantic and elegant atmosphere. In some of them is possible to add a cot/third bed for a child on request. 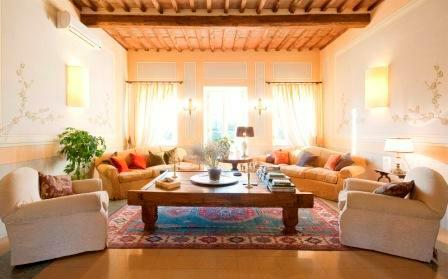 Decoration: terracotta ceilings with exposed wooden beams, typical Tuscan terracotta floor, Italian style furniture, elegant fabrics. 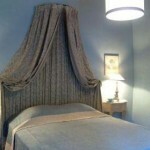 Some of them have a four-poster bed. Services: check-out 11.00 am, bathroom with shower, hairdryer, courtesy kit”prestige”, self controllable air conditioning/heating , safe, telephone, minibar, satellite tv, wifi connection (extra charge), pick up and deliver of luggage in the room, free take- away breakfast (hot beverage and croissant) for earlier departures. The jewels for your stay of charm and relax: double deluxe rooms satisfy your senses for an exclusive and tailor-made stay. 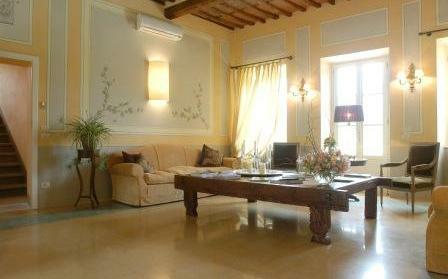 Elegant and refined these rooms are perfect for truly relaxing in a pleasant and warm atmosphere. Details: king size bed and/or twin. Baby cot and/or third bed cannot be added. 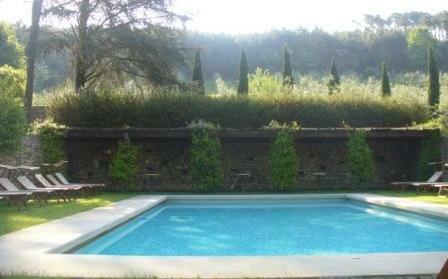 View: 180° on the Lucca countryside. 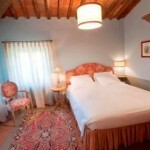 Decoration: one has a four-poster bed, terracotta floor and ceilings with exposed wooden beams: the true Italian style; the other one has prevalent beige colour, the elegant Tessieri floor and the original fresco, warm and bright with light and golden coloured tapestry. Services: check-out 12.00 pm, bathroom with double sink and double shower, hairdryer, courtesy kit elegance, make-up mirror, slippers and bathrobes, self controllable air conditioning/heating, safe, telephone, minibar, satellite tv, laundry service : linen taken and delivered in your room( extra charge). Credit card details to guarantee reservation. Full amount due to be paid to the hotel during your stay. Tourist tax of 1 -3 Euro (depending on room type) per person and day will be added to the final price and paid upon check out. 1.Advance bookings cancelled 7 days before arrival will be debited at 80% of the total amount of the stay. 2.Any reduction in length of stay made 7 days before arrival will be debited at 80% for each night cancelled. 3.After check-in, any reduction in the number of nights reserved will be debited in full. 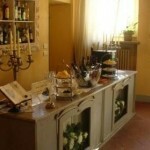 Occasionally, special rates are non-refundable and non-cancellable according to hotel policy. 4.In the event of no-show the full amount will be charged by the hotel. 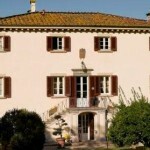 -between 3 and 11 years old they pay € 40.00 per room per night (sleeping in the extra bed). 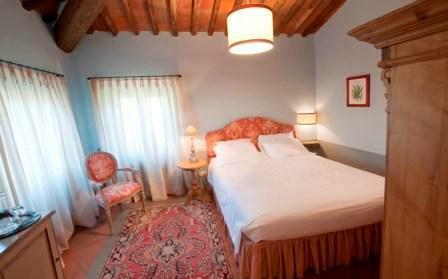 If sleeping in the present bed pay € 10.00. 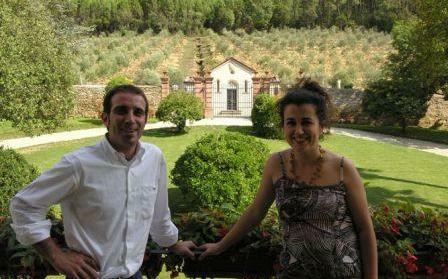 They pay €10.00 per night (if sleeping in the present bed). -children older than 12 years old are considered adults and they pay € 60.00 per room per night (sleeping in an extra bed). 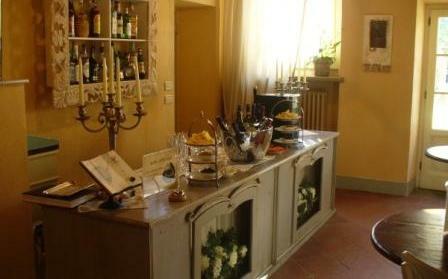 A lunch at our bar costs from 20 Euro per person – light luch with a lounge bar menu. 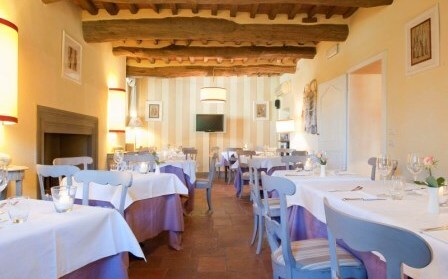 A dinner at our Restaurant costs from 35 Euros per person with à la carte menu. Beverages not included.